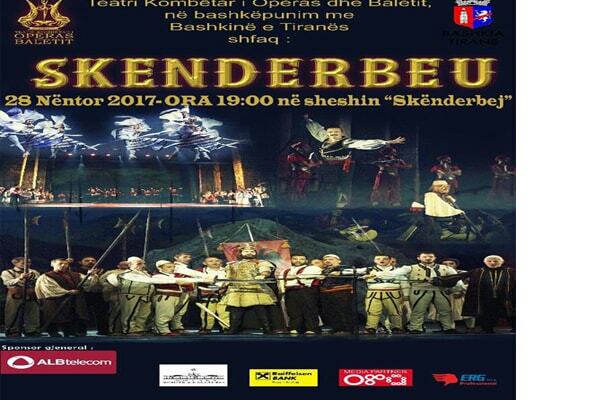 Opera "Skanderbeg" at Skanderbeg Square It's not just a show but a very important moment. For the first time TKOB brings 50 children on stage, creating the children's chour of TKOB. They will sing the opera chorales "Skanderbeg", on the eve of the ending of the project "Come Sing with Us", on the framework of "Education through Art". TKOB soloists, choir troupe, orchestra will join the little artists, the future of the scene and the Albanian art.